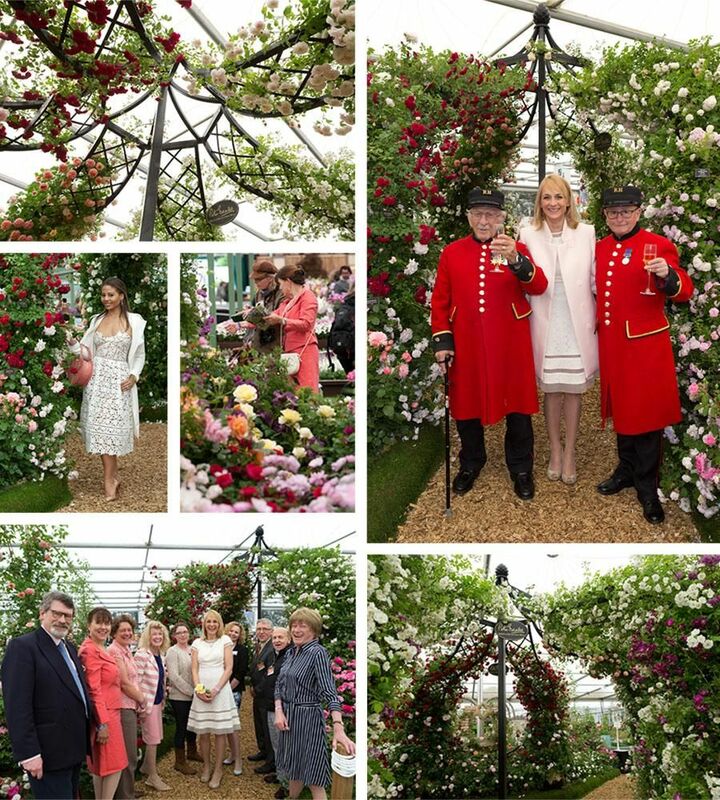 In May 2015 we were delighted to have been awarded our 22nd Gold medal at the RHS Chelsea Flower Show. Nursery Manager Ian Limmer and his team worked really hard to put together another breathtaking stand, which incorporated a one off specially designed pavillion created by Classic Garden Elements and stonework by Redwood Stone. We also launched two fantastic new roses at the show. ‘Stamford’s Sanctuary’ launched on behalf of Dunham Massey Hall by Louise Minchin and ‘The Perse Rose’ launched for the Perse School, Cambridge to celebrate their 400th anniversary.